For air conditioner installation, repairs, maintenance and service, call a Fox Heating & Cooling Specialist. 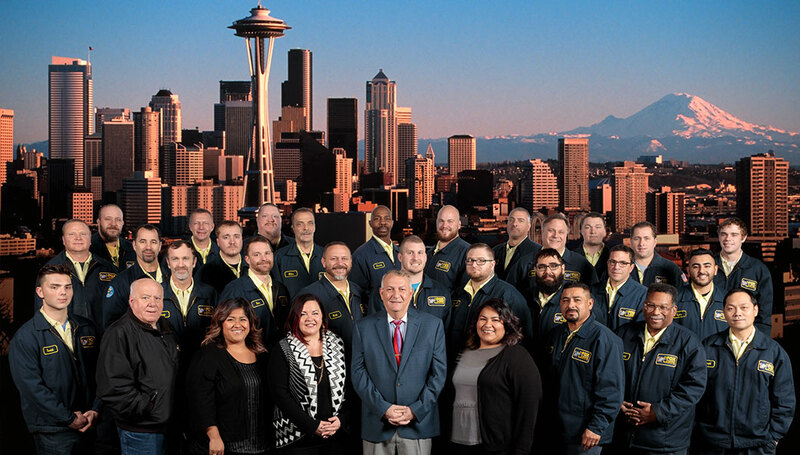 Our Seattle based team is ready to help you find the cooling option that best fits your lifestyle and budget. We're proud to be your AC contractor all around King County, including Sammamish, Renton, Kent, Bothell, Bellevue and beyond. Cooling the whole house can make summer more relaxing and comfortable. When you have existing ductwork, a central air conditioning unit is a great choice. 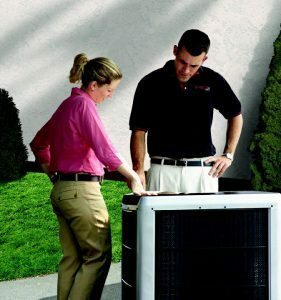 Fox’s Heating & Cooling Specialists recommend air conditioners that provide excellent cooling at a great value. 1. Air conditioner “sizing”. By size we don’t mean the physical unit dimensions, but the amount of air that the unit can cool. The output of the air conditioner has to be large enough to fill your home with cool air, but not so big that it will blast and shut-off constantly, wearing its parts out. Your Fox expert will do a specialized calculation to correctly size your air conditioner, taking into account the square footage of your home and several other factors. The size of the air conditioner is one of the main determinants of price. 2. Lawn or patio space available to house an air conditioning unit. Because Seattle and several Eastside communities have strict noise ordinances, even the super quiet Daikin air conditioners will need to be several feet away from your neighbor’s property line or have additional sound barriers. (Sound is officially measured at the property line.) For many condo or townhouse owners and residents in densely packed older communities, we will evaluate the distance and provide alternatives including ductless split systems, which are whisper quiet. 3. What’s on the inside of the house? In order to complete the process of blowing cool central air through your home, there will need to be a fan with a cooling coil attached, ducts and cold air returns. The fan used can be your existing furnace fan or air handler if it can match-up with the needs and technology of the air conditioner. Often a coil can be added, and in many newly constructed homes the heating systems are installed “AC ready”. Your Fox Heating & Cooling Specialist will examine your system for air conditioner compatibility, and will also look at the sufficiency of ductwork and cold air return registers. 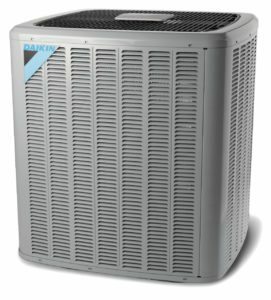 AIR CONDITIONER REPAIR OR REPLACEMENT? Fox’s HVAC Specialists provide honest estimates and always advise you of repair options with or before we recommend a replacement of your AC system. WHY CHOOSE FOX TO INSTALL YOUR AIR CONDITIONER? Fox’s Heating & Cooling team is manufacturer trained and committed to providing you the highest standard of care. They keep on top of new air conditioning installation methods with continuous training. Our specialists are certified in all local and international mechanical codes. Talk to Fox today! Fox Plumbing & Heating operates in Seattle and Greater King County and is located at 7501 2nd Ave. S, Seattle. Check our service map and call Fox Plumbing & Heating to schedule your next air conditioner appointment today. Or fill out the contact form on the right side of this page, and we’ll call you!